Set the mood with this attractive candle holder. It's perfect for outdoor use as the sun sets on a garden party. 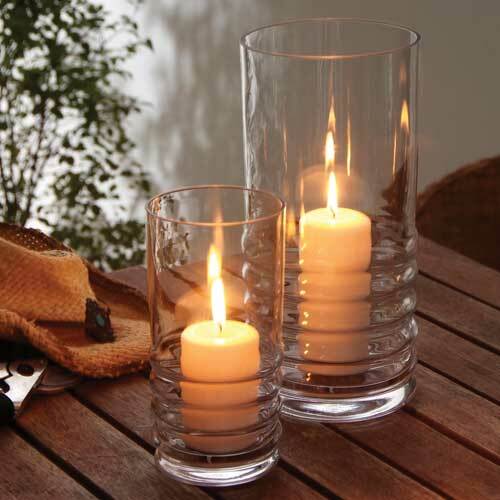 This candle holder has been handmade using the finest glass and carefully shaped by our expert craftsmen. The distinctive groove around the base adds an attractive contemporary style to the holder, devised by our very own glass designer Hilary Green. Each candle holder comes with a pillar candle.